Boeing won a contract worth up to $805 million to build aerial refueling tankers, beating out San Diego-based General Atomics, it reported Friday. Boeing will receive $79 million of the total award amount to start, the Los Angeles Times reported. In addition to General Atomics, Lockheed Martin had competed for the contract. 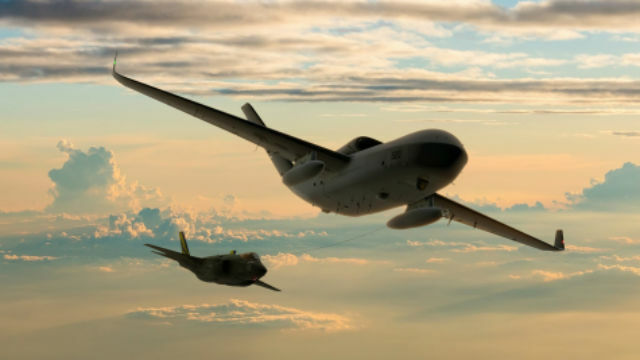 Around 1.5 percent of the work on tanker drone, known as the MQ-25A Stingray, will be completed in San Diego, but most of the work will be done in St. Louis. The initial contract is for four aircraft, but the Navy said it eventually plans to spend $9.5 billion to produce 72 tankers that will fly alongside Navy carrier fighters. The first four drones are set to become operational by 2024. The aircraft that currently make up carrier air wings — the F/A-18 Super Hornet and F-35 Lightning II fighters — have relatively short ranges compared with the planes they replaced, making refueling a higher priority, the Times reported. Concerns about wear and tear on Super Hornets and their crews, which currently handle refueling duties and fighter tasks, also prompted demand for unmanned replacements. Boeing’s MQ-25 drone will be launched via catapult from the decks of aircraft carriers. The drone will be powered by a Roll-Royce engine, which is also used in the U.S. Air Force’s Global Hawk and Navy’s Triton drones.